The coffin of a dead relative is open so the body could be dried under the sun. 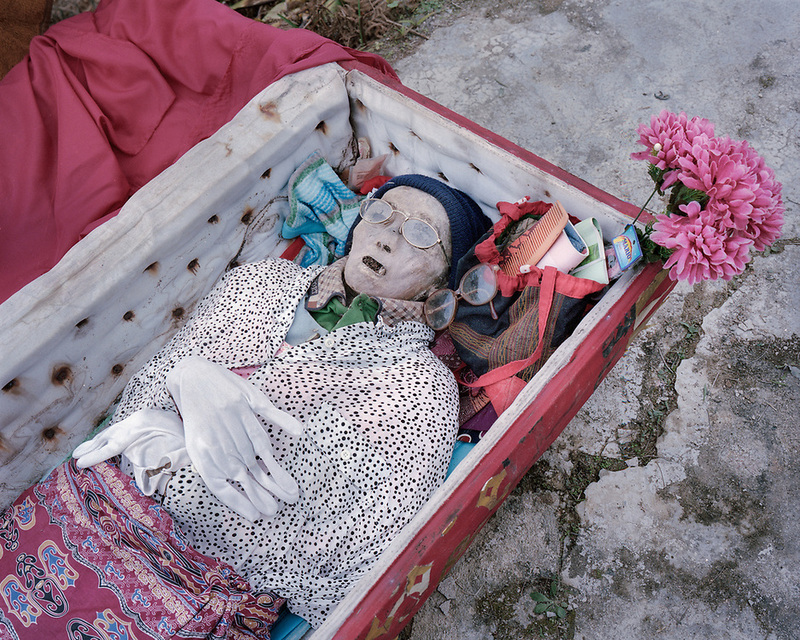 Ma'nene is a tradition that takes place in August after harvest where the bodies of the dead loved ones are exhumed to be cleaned, groomed and dressed. For most, it's a bittersweet moment, a chance to reunite and physically see and touch and reconnect with loved ones who had passed on.